Mothers are a special gift from God. Sponsoring a MOM is a blessing to both the recipient and the donor. 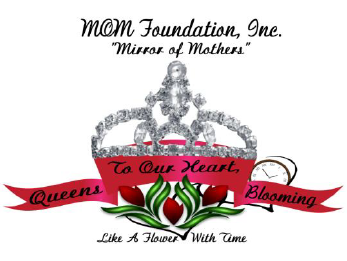 You may become a sponsor by making monetary donations in support of the more than 50 mothers who are members of MOM Foundation, Inc.
Our mothers go on trips, have fashion shows, participate in walk-a-thons, and have parties, etc. If you would love to sponsor a MOM and enlighten her life, we have options for you to make donations. No amount is too small!! Check – – – MOM Foundation Inc.
You may make cash donations directly by contacting any of the Board Members listed on our web page. We acknowledge our donors by listing their names; however, you may remain anonymous. Your donations are very much appreciated and will give you great joy in knowing you made a difference in the life of a MOM, because you kept Momma moving!!! All donations are tax deductible.